Kong Lung stocks several styles of this signature Chan Luu wrap bracelet. 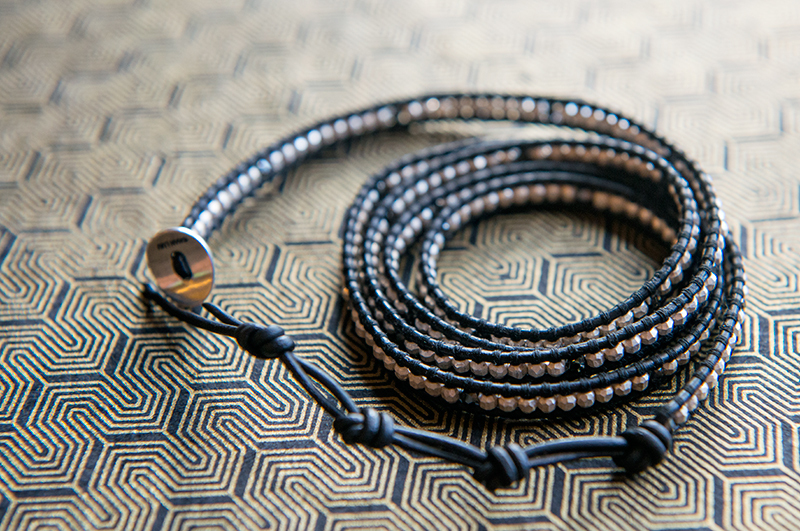 This wrap bracelet includes polished sterling silver nuggets hand woven throughout black colored leather. Easily-wearable, this wrap is perfect for an everyday effortless look. This bracelet wraps around a woman’s wrist five times and includes three adjustable leather closures for a comfortable fit. This versatile wrap bracelet can be worn alone or layered to compliment other single and wrap bracelets. Email or call 808-828-1822 to see if we have one in stock today. Due to the ever-changing inventory of our store, this web site was created to showcase our favorite current merchandise as well as archive our most cherished past products. If we do not have these items in stock, please be aware that these items may be unavailable or discontinued from our vendors.